Emily is the owner of Empilates, the first San Francisco and Oakland studios dedicated to teaching the Fletcher Pilates® movement program. 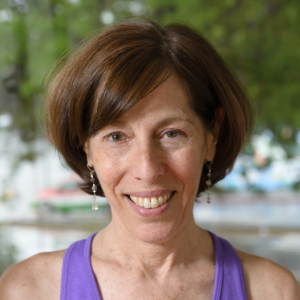 She is a Fletcher Pilates® Professional Teacher, served as an Adjunct Faculty for Fletcher Pilates® and is recognized as a Pilates Method Alliance Certified Teacher. Emily developed pilates programs for fitness centers at the University of California, San Francisco, and for Kaiser Permanente. With a background in athletics, dance, and movement therapy, Emily was inspired by Fletcher’s organic, yet precise style of movement. Her teaching conveys the physical vitality and spirit of pilates to people of all ages and fitness levels.